A couple dies after falling off a rocky edge in Portugal while taking a selfie. Benchmark returns 5.3 million shares of Twitter stock. These stories, and more, in today's Morning Social Media Newsfeed. A couple taking a photo on the edge of a cliff died when they fell hundreds of feet while their young children watched, according to news reports. 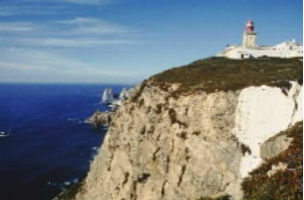 The Polish couple died after falling from the rocky edge in Cabo da Roca in west Portugal. CNET The couple was apparently trying to take a selfie. Reports suggest they fell around 260 feet into the Atlantic Ocean. New York Daily News Rescue workers were unable to recover the bodies that day because of weather conditions. But the bodies were pulled from the water after the search resumed on Sunday. Mashable The couple’s children, aged 5 and 6, were with them and are now in the custody of Polish diplomats. The Polish couple had lived in Portugal for the past few years, according to Polish media. SocialTimes This is not the first time a fatality has occurred during an attempted selfie. Last week saw the first selfie casualty when a Mexican man accidentally shot himself with a loaded gun. Benchmark is spreading the wealth following Twitter’s recent financial success on Wall Street. The Silicon Valley venture capital firm returned roughly 5.3 million shares of Twitter stock to its limited partners on Friday, according to documents filed with the Securities and Exchange Commission on Monday. When we talk about measuring social media engagement, people usually refer to comments, likes and shares. However, the amount of time spent on a particular page or post is a relevant metric. The hashtag “#AskJameis” became a trending topic on Twitter for a time Sunday — for all the wrong reasons. The Twitter feed was bombarded by accounts making fun of Jameis Winston and taking shots at the sophomore. Not surprisingly, most page administrators post to their pages via Facebook on the desktop, but which third-party apps do they use? According to a study by social analytics provider Quintly, Hootsuite tops the list. The weekend shooting of Michael Brown, 18, who was killed by a police officer in Ferguson, Mo., a St. Louis suburb, is drawing outrage on social media outlets such as Twitter and Facebook. The shooting is now being investigated by the F.B.I. Last year, “Shark Week” was Discovery‘s most social event to date, generating more than 10 million Facebook interactions throughout the week. This year, the network will utilize Spredfast to incorporate Facebook Trending Topics, Hashtag Polling and live Instagram posts during broadcasts.